Blog > Patterns we love > 8 Exclusive Discounted Patterns from Sue Stratford! 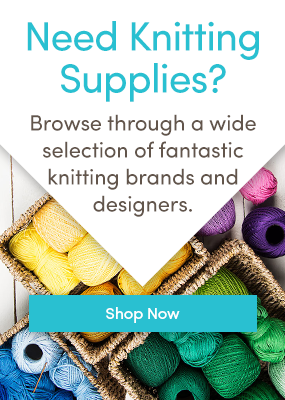 Here at LoveKnitting we are delighted to be collaborating with acclaimed designer and Knitting and Gin blogger Sue Stratford who has created 8 beautiful EXCLUSIVE PATTERNS especially for the lovely LoveKnitting community! In recent years Sue Stratford has gained a reputation for creating gorgeously designed, quirky knitted crafts! Her passion and creativity is outworked, from concept through to the final design, in her growing collection of delicious patterns, each with their own charm and cute character! For the following designs Sue uses the beautiful CoopKnits Socks Yeah! DK. Excited!? Just wait till you set your eyes on Sue’s beautiful new collection. First up is Line Dried which was first created five years ago. After finding herself at Fibre East on a wet and muddy day in England, Sue spotted the lovely Skein Queen yarn! Bundling enough to make a sweater in her bag she set to work on knitting a cardigan that would be flattering and easy to wear. Line Dried was the result. Since then, Sue has have made several different versions of this fabulous cardigan! The lovely soft grey Line Dried Mini Me is worn by Sue’s youngest daughter Lola, who thoroughly enjoyed being mum’s model. Each of her new designs has a pattern for child’s sizes as well. Sue knew exactly what she wanted, a relaxed sweatshirt shape but without the pulled in rib at the bottom, something that looked fabulous with jeans yet simple enough to show off the texture of the yarn. Retrofit was born! Worked from the bottom up and in the round, Retrofit’s fabulous design means there’s no fiddly sewing up! The hem is slightly ‘dipped’ at the back, making it extremely flattering. Like Line Dried, you can make your little one their very own Retrofit in the Retrofit Mini Me pattern, that works a treat in a variety of brilliant colours. Aside from her beautiful garments, Sue is also well known around the knitting black for her adorable animals. Each pattern includes instructions for knitting the pieces flat and, for some parts, working in the round, excellent if you don’t like sewing up! First up in her animal collection is Frank Flamingo! Not one to get in a flap, Frank’s adorable long and gangly legs make him a lovable toy and gift for big and little kids! We hope you’ll have as much as we did working on these brilliant patterns. To read Sue’s blog click here and why not share your knitting projects with the rest of our community! One Response to 8 Exclusive Discounted Patterns from Sue Stratford! Hi there. Do you have anyparttern for a pig?